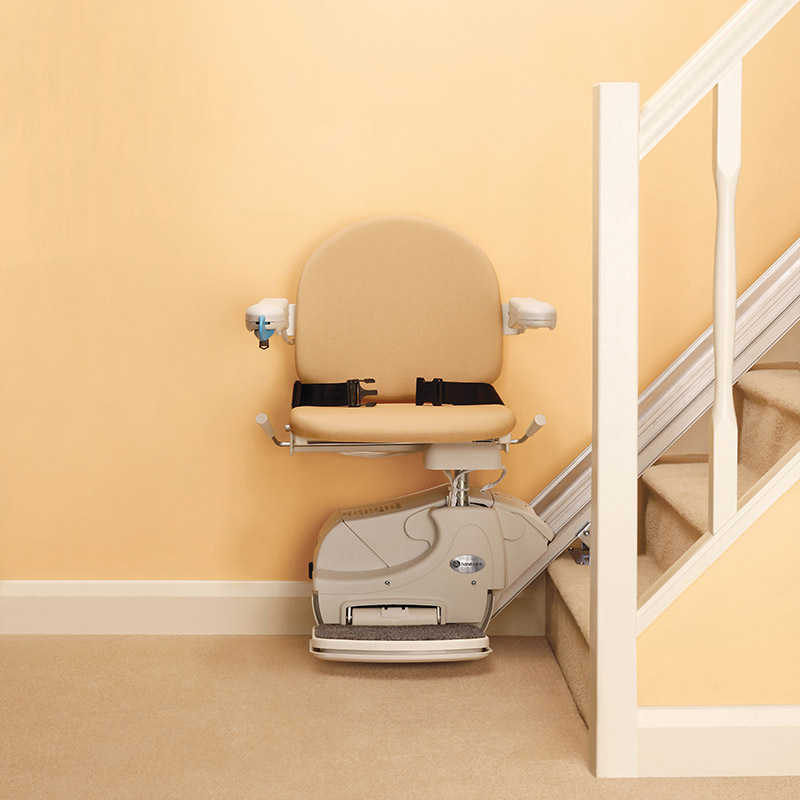 If you or someone in your home is having a problem going up and down the stairs or is at risk for falling while trying to climb the stairs, a stairlift is the prefect solution to ensure safety and independence within your home. A stairlift by Ottawa Valley Stairlift are easy to use and give you access to all floors of your family home. Experience tells us that different homes and people require different solutions, our stairlifts have a variety of styles and options that can be customized to meet your personal needs as well as any requiements for your home. There are two basic types of stairlifts, straight and curved. The type you need will depend upon the design of your staircase. Straight stairlifts are made for a single flight of stairs that travel in a straight line that do not have any landings, turns or bends. 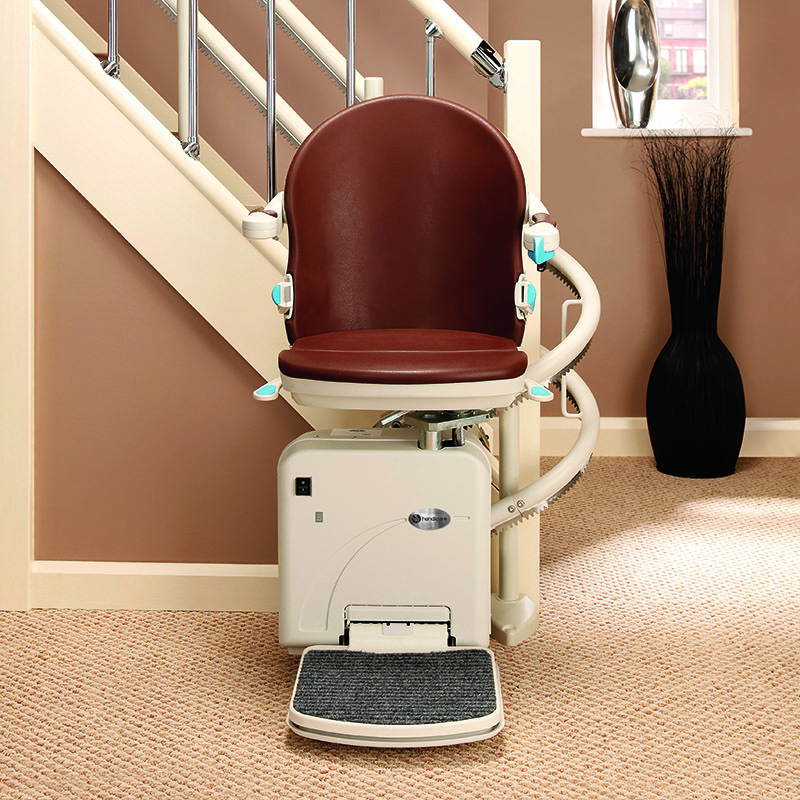 Curved stairlifts are made for staircases that curve, bend or have one or more landings. We also carry outdoor stairlifts that are weatherproofed and are available for both straight and curved stairs. Outdoor stairlifts are good if you have steps leading into your home, porches, decks or garden. Safety is our first and main priority. All OVSL stairlifts come with seatbelts for maximum safety while in transit and carry applicable worldwide safety certifications. With safety in mind, our stairlifts have what is referred to as "hold to run" toggle controls, what this means is that the stairlift will stop immediately if the control button is released. Our stairlifts also have safety sensors that will stop the stairlift is anything is detected in its path. Stairlifts for staircases that turn corners. 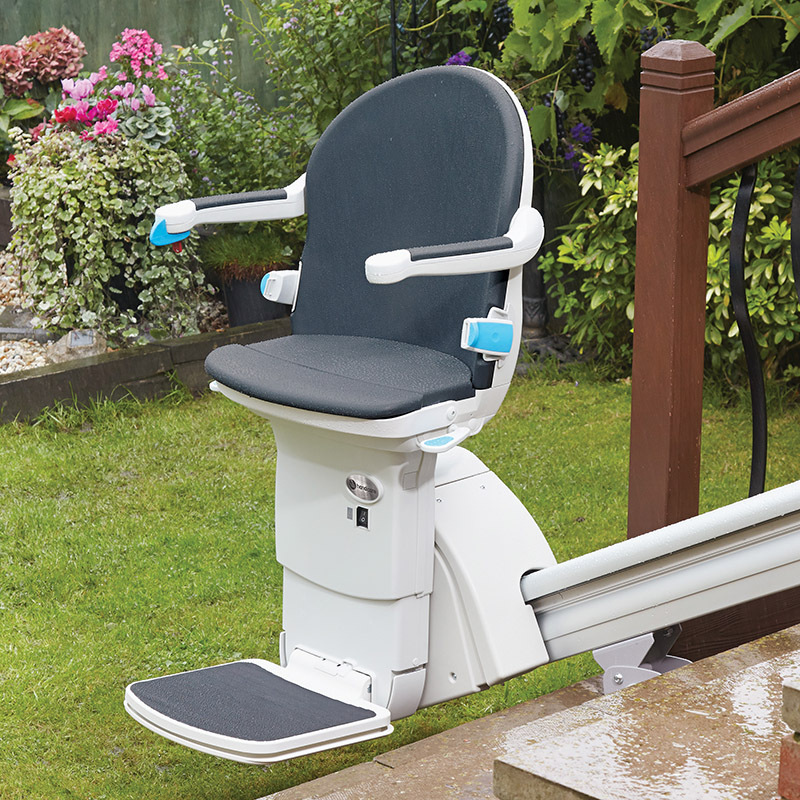 Weatherproofed stairlifts for outdoor steps.